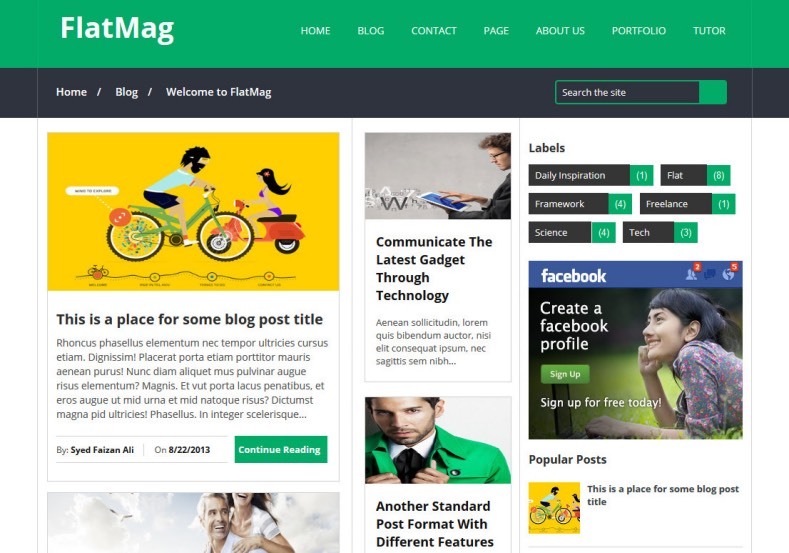 TemplateHack.com - Download FlatMag premium blogger template. Flat Mag is a simple & clean designed with a fresh flat style and with a great responsive and mobile friendly design. This theme perfect for magazine or personal websites. FlatMag is blogger template that adapted from Wordpress template. This template made by Jeewani Kumari. If you are already impatient and interested in FlatMag, please click the button below.